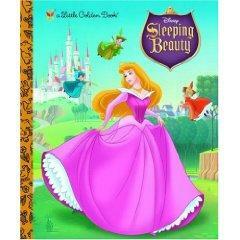 The Sleeping Beauty fairy tale is one of the most popular stories told to young girls around the world. Sleeping Beauty is a French fairy tale, originally known as La Belle au Bois Dormant or The Beauty Asleep in the Wood. The story was written in 1697 by Charles Perrault. Sleeping Beauty tells the story of a beautiful princess who was adored by her parents. At her christening, fairies offered gifts such as wit, beauty, and musical talent. However, an evil witch cursed the young princess and said she'd prick her finger on a spindle and die when she reached adulthood. After some effort, a good fairy was able to change the curse to state that the princess and the people in the kingdom would simply fall asleep after she pricked her finger. The king and queen tried to outlaw spinning in a further effort to keep their daughter safe, but they were unsuccessful. The princess eventually came upon on old woman spinning, asked to try the task, and pricked her finger. She fell into a deep sleep, along with the rest of the kingdom. A forest of thorns sprung up around the castle to keep her safe. After 100 years had passed, a handsome prince came upon the castle and was enchanted by the beauty of the sleeping princess. He fell to his knees and kissed her. She woke up and the people of the kingdom were able to resume their lives. In modern versions of Sleeping Beauty, the story generally ends at this point and everyone lives happily ever after. The original fairy tale had a darker undertone, however. The prince and princess were wed and she gave birth to two children. The wedding was initially kept a secret from the prince's mother, because she was an ogre. When the princess and her children eventually met the queen, she demanded that her cook kill them and prepare them for dinner. The cook tricked the queen by preparing a different dish. When the prince discovered what had happened, the queen threw herself into a pit filled with vipers. If your daughter is a reluctant reader, keep in mind that there are many Disney Princess books retelling these classic fairy tales. Although some people believe the Disney Princess characters are poor role models for young girls, the key to getting kids interested in reading is to choose books which match their interests. If your daughter takes a liking to a specific princess, you can always choose to expand on her interest by helping her find books that elaborate on various aspects of the story. For example, girls who love Pocahontas are likely to find several books on Indian culture at their local library.